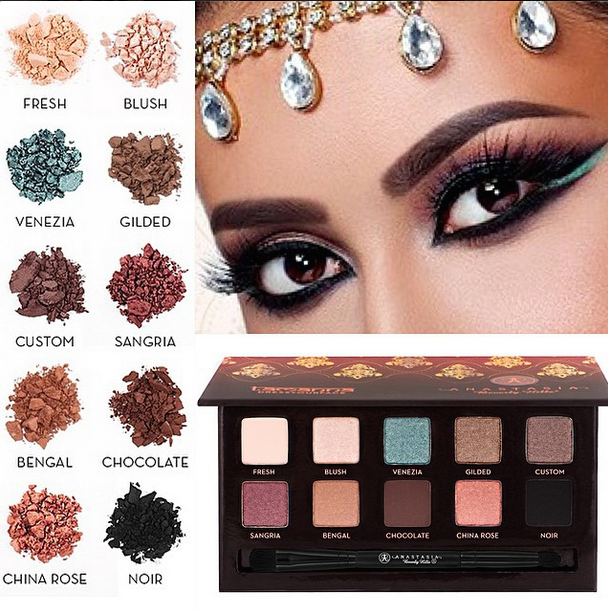 Anastasia Beverly recently launched their palette in collaboration with Tamanna Roashan, a well-known makeup artist (Instagram: dressyourface). This palette has 10 fall eyeshadow shades and retails for $35 CAD ($29 USD). 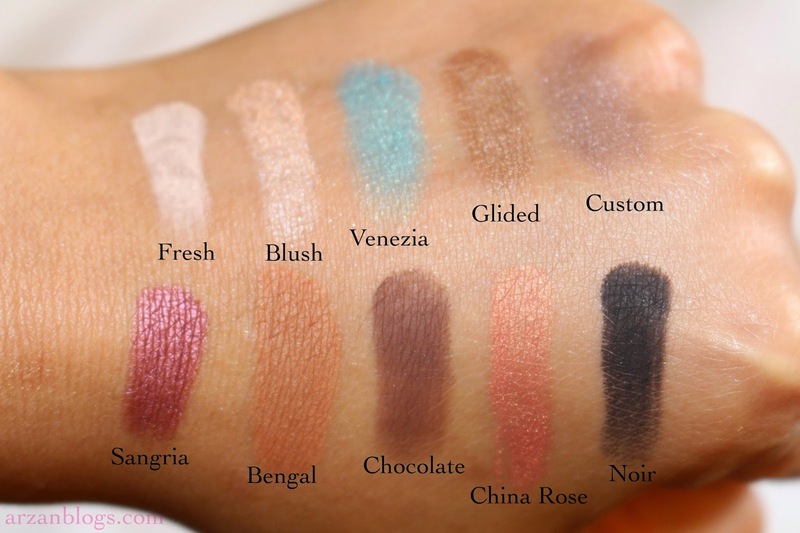 I was initially going to get Maya Mia one but then Tamanna palette came out and the colors were more appealing to me. 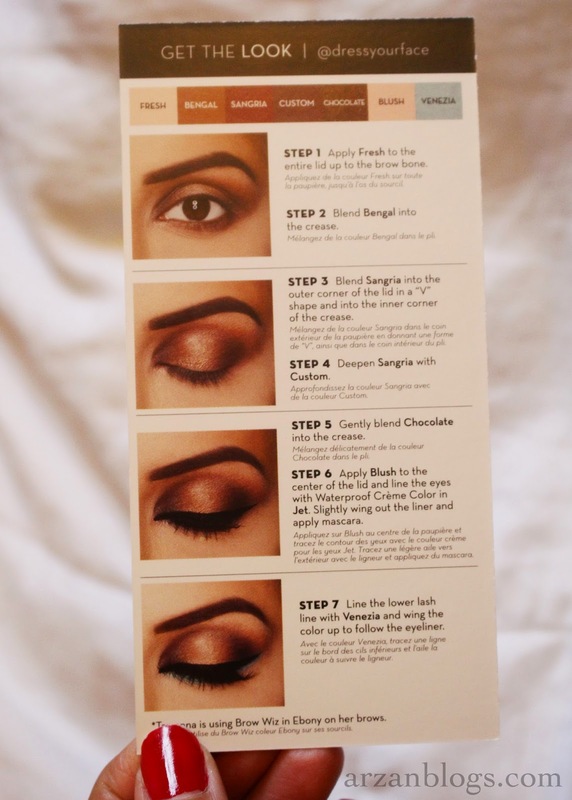 I love the Middle Eastern/Indian inspired look to it! Tamanna is half Indian and half Afghan, so this packaging reflects her cultural background. 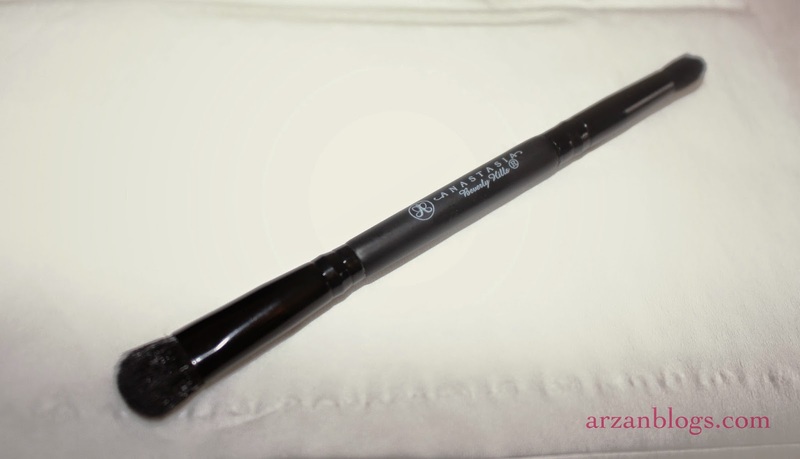 The palette also comes with a dual-ended eyeshadow brush. It's a good brush! I rarely use the brushes that come with my palettes but not with this one. I actually used it a few times now. 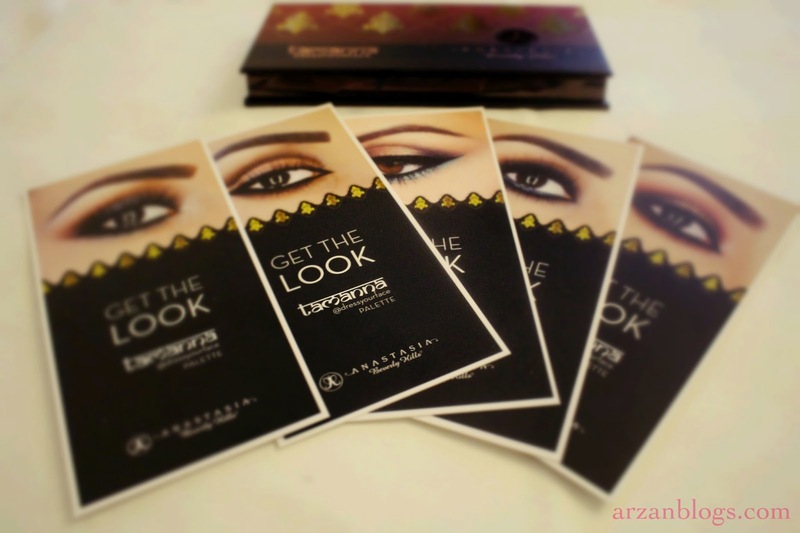 It also comes with 'Get the Looks' cards that comes with 5 different looks. There are steps listed on the back of each card. These instructions are quite easy to follow and I'm glad these cards were included with the kit. 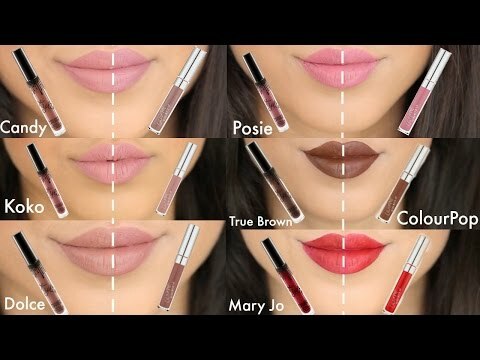 It comes with 10 shades that are claimed to be compliment all skin tones: Fresh, Blush, Venezia, Glided, Custom, Sangria, Bengal, Chocolate, China Rose and Noir. China Rose: The perfect blend of gold, pink and coral. All in one silky satiny shade inspired by South Asian textiles. I like all colors but my favorite is sangria! 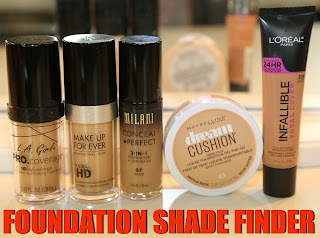 I also find myself using more Blush, Venezia and Chocolate more than others. The colors are quite pigmented. Sangria, Chocolate and Noir are much more pigmented than others. 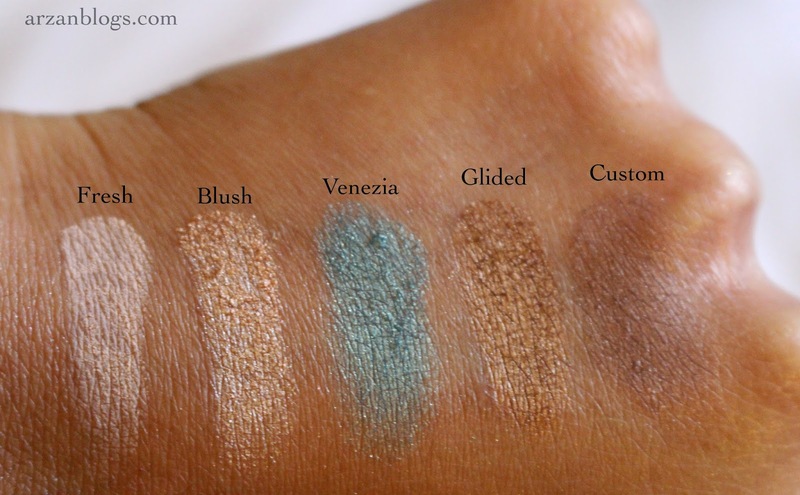 Here's a closeup of the swatches of Fresh, Blush, Venezia, Glided and Custom. Here's a closeup of the swatches of Sangria, Bengal, Chocolate, China Rose and Noir. 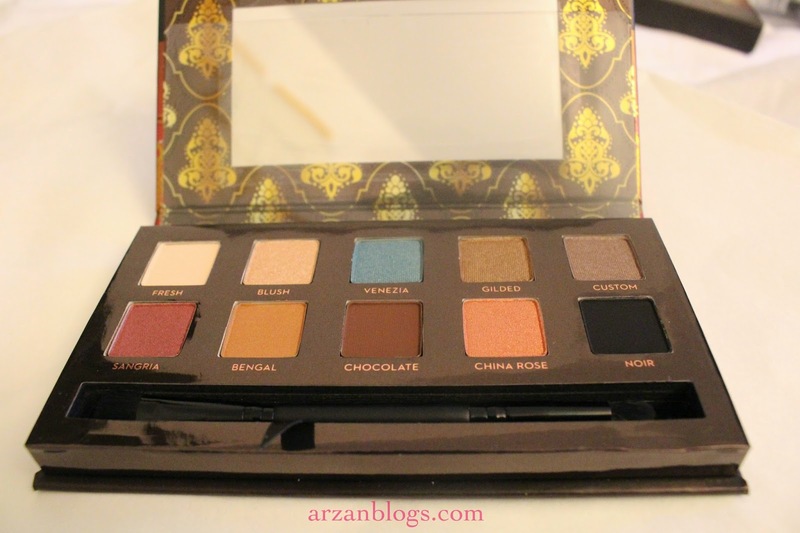 This is my first Anastasia Beverly Eyeshadow palette! It's great for fall! It's a good value; you get a range of 10 shades (0.025 oz each). It's great for travel! You can create a number of looks with it. The colors are beautiful and pigmented. These eyeshadows are long wearing and I barely noticed any fallouts. I love the shades Venezia, Sangria, Chocolate and Noir but my favorite is Sangria. I love how you can create a subtle look for daytime and something more dramatic for night. Would I recommend it? Yes! 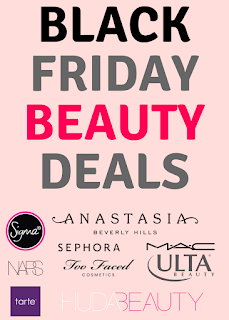 It's a great palette especially for the price! If the colors appeal to you, then I say go for it for sure! It's limited edition though, so get your hands on it before it's soldout.